WHATEVER HAPPENED TO LIVING IN A BOX? 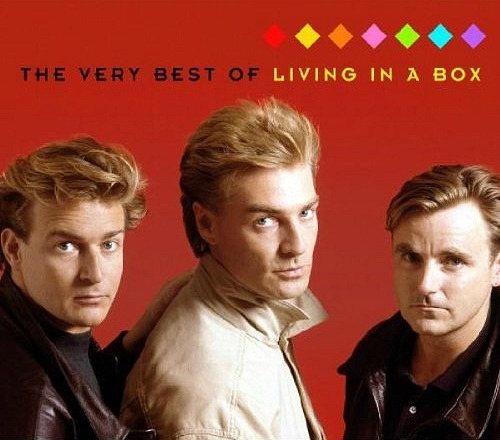 Living in a Box achieved success with seven Top 40 singles and two hit albums during the 80s in the UK. They split in 1990 before a third album could be released, but where are they now? Firstly, frontman Richard Darbyshire continued with his music career, and went on to enjoy some success as a solo artist. He has also written tracks for Lisa Stansfield, as well as releasing two solo albums during the 90s. His two albums were How Many Angels (1994) and Love Will Provide (1999), which came as a reissue of How Many Angels, and included several new and unreleased tracks. What about the band's drummer? Well, Anthony Critchlow (nicknamed 'Tich') formed his own company providing bespoke illumination and lighting installations. Keyboardist and synth player, Marcus Charles Vere also retired from the music industry after the band split-up. He went on to produce award-winning DVDs called Here Comes A ...! for pre-school aged children. Topics include live action films about tractors, diggers, trains and fire engines. In 2017, he took his business online with the Youtube channel Kids Trucks TV. Living in a Box reformed in 2016 with original band members Critchlow and Vere, but without lead singer Richard Darbyshire. His replacement is the British soul singer Kenny Thomas, who had a number of hits in the 1990s. The band have performed at numerous live UK festivals including Rewind, Flashback and Let's Rock. However, so far, the new line-up have not released any new material, sadly. Kenny Thomas with Living in a Box at Let's Rock The Moor 2017. Visit the Living in a Box page for 80s videos and more info about the original band.